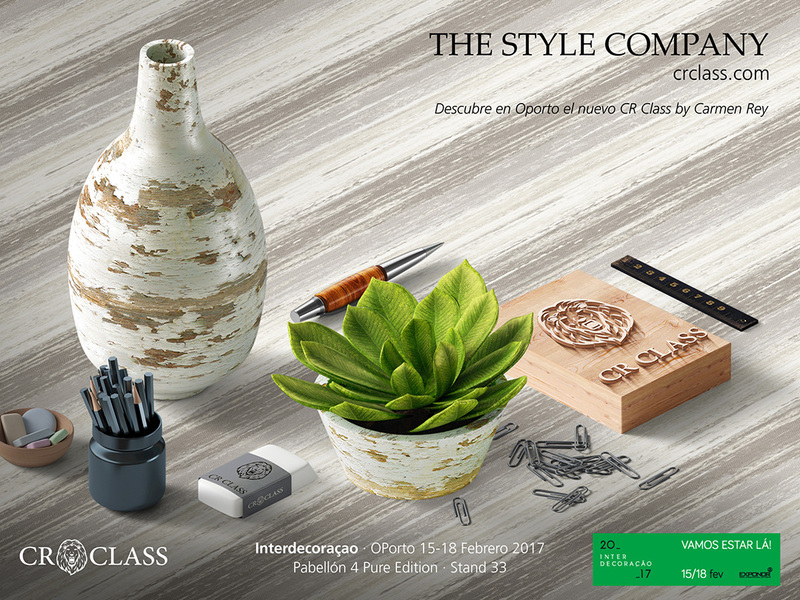 CR CLASS keeps working successfully on its international expansión process, so after taking part in the most prestigious fairs in the decoration sector such as Maison&Objet Miami, Home Textile Premiun Madrid and Maison&Objet Paris, CR CLASS will be next week, from 15th to 18th of February in Porto (Portugal) at Interdecoraçao 2017. This event is organized at Exponor which is the larguest exhibition centre in the country and the place where CR CLASS will meet the main interior design suppliers and companies from Portugal and other parts of the world. The level of attendees is expected to be higher than the previous edition, which had more than twelve thousands visitors and a increased rate of foreign buyer of 50%. If you want to visit us and see up close our new fabrics and wallpaper collections, our location is Pavillion 4, Stand 33.